TRAINING FOR THE PHYSIOSPECT DIAGNOSTIC AND THERAPY UNIT. We have complete manuals for the Physiospect. This includes how to install the program on your computer as well as how to use and interpret the different functions. We have a "Quick Start" manual which takes you step by step,(click here-click here) through the basic operation of the program. bio-resonance systems, you can learn how to install and operate the Physiospect programs from our manuals. However we have found that the majority of practitioners find it so much easier to learn how to use the Physiospect by having hands on instruction. In order for you to be able to quicly start using all the different aspects of the Physiospect programs, we highly recommend that you take the time (3-5 days) to come to us at: www.moinhos-velhos.com in Portugal. We will install the unit on your laptop and teach you how to use it. The basic program, testing and treating is pretty straight forward, but the finer, and probably more important aspects, determining the cause of an imbalance or pathogens, selecting the appropriate remedies, using the "Destructor" etc, determining if the pathogen or stress factor is chronic, current or a potential future issue, is best learned by hands on instruction. In our training programs we also teach you how to treat children and animals. We offer one day, three days and five days programs. One day is not enough, the 3 days program is quite intensive, the five days programs are more relaxed and allows you to enjoy our facilities like Sauna, Salt water pool, Hot Tub etc., plus it gives you more hands-on experience. Trainig is free with purchase of the Physiospect from us. 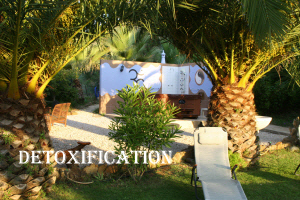 All the programs are offered at: Moinhos Velhos in sunny Portugal.